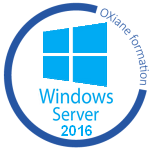 This four-day course is designed primarily for IT professionals who have some experience with Windows Server. This module explains how to prepare and install Nano Server and Server Core. This module also explains how to upgrade and migrate server roles and workloads. Finally, this module explains how to choose an activation model based on your environment characteristics. This module describes the direct-attached storage (DAS), network-attached storage (NAS), and storage area networks (SANs). It also helps you understand Microsoft Internet Storage Name Service (iSNS) Server, data center bridging, and Multipath I/O (MPIO). Additionally, this module also compares Fibre Channel, Internet Small Computer System Interface (iSCSI), and Fibre Channel Over Ethernet (FCoE), and describes how to configure sharing in Windows Server 2016. This module provides an overview of high availability, business continuity, and disaster recovery. It further explains how to plan high availability and disaster recovery solutions. Additionally, in this module you will know how to back up and restore the Windows Server 2016 operating system and data by using Windows Server Backup. Finally, you will learn about Windows Server 2016 high availability with failover clustering. This module explains how to plan, create, configure, maintain, and troubleshoot a failover cluster. This module also explains how to implement site high availability with stretch clustering. This module describes integrating Hyper-V virtual machines in a clustered environment. It also explains how to implement and maintain Hyper-V virtual machines on failover clusters. Additionally, this module also explains how to configure network health protection. This module provides an overview of NLB clusters. It also explains how to plan and configure an NLB cluster implementation. This module provides an introduction to deployment images. It also explains how to create and manage deployment images by using the Microsoft Deployment Toolkit (MDT). Additionally, it explains how to evaluate an organization’s requirements for server virtualization. This module provides an overview on WSUS and explains the deployment options. It explains how to update management process with WSUS and also how to use Performance Monitor. Additionally, this module also provides an overview of PowerShell Desired State Configuration (DSC) and Windows Server 2016 monitoring tools. Finally, this module describes how to use Performance Monitor and monitor Event Logs.